Time and time again, our clients tell us that they ultimately selected based on their confidence in our team of knowledgeable and conscientious consultants, data processing and IT support professionals. We have a keen understanding and a successful record of wholesale food processing and distribution technology development and implementations. Our experienced, knowledgeable staff will work with you to understand your unique needs and requirements and then apply our software deployment methodologies and best practices to help you create a cost-effective and quality solution to support your strategic information needs and business processes. Get a complete view of your business with a single, accurate source for all critical, up-to-the-minute business data. Give your business users instant access to the right information they need to do their jobs more efficiently and profitably. Expand your business and customers with a complete customer view across sales, distribution, and financials helps you uncover new ways to serve your customers faster and better. Support your changing needs with automatic software updates and best-practice recommendations supported by robust ERP software. We are firm believers in getting a full and comprehensive understanding of your company’s overall needs before any recommendations are made. Upon the conclusion of this needs assessment, we’ll recommend a software and, optionally, a hardware solution that is consistent with the requirements of your company and gives you the most bang for your IT dollar. 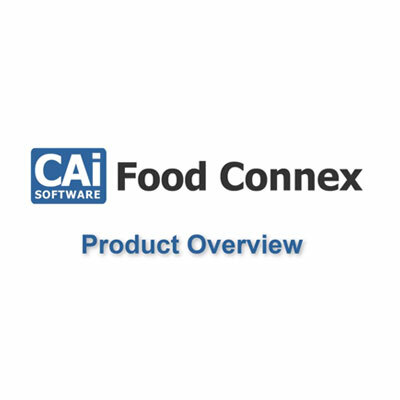 As the conclusion of the Client Consultation, you’ll get a detailed Food Connex Software Implementation Plan. This plan will outline the agreed-upon installation schedule and provide a timeline of specific steps and milestones from project commencement to ‘go-live’. For a successful implementation, it is important to involve users early and often in the process. By listening to the expectations of your users, you are giving them a voice to commit to the project through its entire life cycle. Structured education and training during and after implementation will reinforce standard procedures and best practices for each position within the company. A Food Connex Consultant will be assigned overall responsibility for the implementation of the software. This individual serves as your main point person and primary liaison with your management team throughout the implementation planning and installation process. In addition, your consultant will oversee and manage a dedicated Food Connex installation team committed to the timely and most-effective installation of the software. Our trainers have an intimate understanding of all aspects of the software and possess considerable experience in addressing the day-to-day needs of end users. In-depth educational training is provided on a remote basis via Internet connection for your convenience. Utilizing specially designed service tracking software, we’re able to guarantee an appropriate response time for all service-related calls. For those clients requiring extended service beyond weekday hours, Food Connex offers extended service hours. Our technical support organization is staffed by certified technicians who have in-depth knowledge of the product, as well as manufacturing and accounting environments. 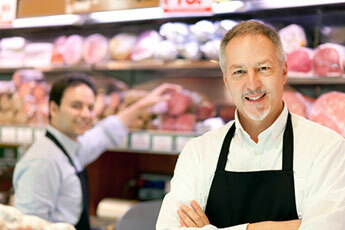 Many of our customers find that the Food Connex solution meets the majority of their needs without customization. We realize, however, that you may have unique business conditions that create the need to customize a solution. We offer complete customization services to provide the technical expertise and development resources for the customization of your system. All customizations are fully documented and conform to strict programming standards to assure product compatibility and seamless integration. Approximately 30 to 60 days following the system launch, it is recommended that the system be reviewed and tested again to search for previously unforeseen requirements or issues and to make sure you are getting the most from your Food Connex software.